The EPA is proposing to deny a June 2016 petition from the state of Connecticut, which asked that the Agency find that emissions from a power plant in Pennsylvania are significantly contributing to nonattainment and interfering with maintenance of the 2008 ozone National Ambient Air Quality Standards (NAAQS) in Connecticut in violation of the good neighbor provision of the Clean Air Act (CAA) (February 22, 2018, Federal Register). According to the Agency, the petition does not satisfy the burden-of-proof criterion of CAA Section 126(b), which indicates that a petitioner must establish a sound technical basis for the specific finding requested. Section 110(a)(2)(D)(i) of the CAA, often referred to as the good neighbor or interstate transport provision, requires states to prohibit certain emissions from in-state sources if such emissions impact the air quality in downwind states. Specifically, Sections 110(a)(1) and 110(a)(2)(D)(i)(I) require all states, within 3 years of promulgation of a new or revised NAAQS, to submit state implementation plans (SIPs) that contain adequate provisions prohibiting any source or other type of emissions activity within the state from emitting any air pollutants in amounts that will contribute significantly to nonattainment in, or interfere with maintenance by, any other state with respect to any NAAQS. Before responding to a good neighbor petition, the EPA follows a framework: Determine whether there is a downwind air quality problem in the petitioning state; determine whether the upwind state where the source subject to the petition is located is linked to the downwind air quality problem; if such a linkage exists; and determine whether there are additional feasible and cost-effective emissions reductions achievable at the source(s) named in the petition. If these criteria are satisfied, the Agency must require states found to have emissions that significantly contribute to nonattainment to implement the necessary emissions reductions. Connecticut’s petition targets Brunner Island Steam Electric Station in York County, Pennsylvania. For over 50 years, all three units at Brunner burned coal. But Brunner recently installed a natural gas connection pipeline allowing natural gas to be combusted. Following installation of this pipeline, Brunner primarily combusted natural gas as fuel during the 2017 ozone season. 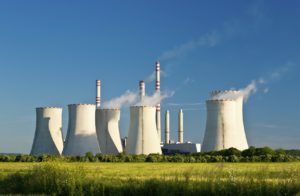 In its petition, Connecticut cited modeling conducted by a contractor that showed that nitrogen oxides (NOx) emissions from Brunner contributed an amount greater than 1 percent of the 2008 ozone NAAQS at six monitoring sites in Connecticut based on emissions from the facility during the 2011 ozone season. (A state that contributes at least 1 percent to nonattainment in another state is considered a significant contributor.) Connecticut also contended that Brunner Island can implement cost-effective and readily available control technologies that can reduce its NOx emissions. The EPA notes that certain elements of Connecticut’s analysis appear to be deficient. Furthermore, the EPA says that in using natural gas as its primary fuel during the 2017 ozone season, Brunner’s actual ozone season NOx emissions fell to 877 tons in 2017 from 3,765 tons in 2016. In a letter to the EPA, Connecticut’s congressional delegation contended that the Agency should withdraw its proposed denial. “While EPA expects Brunner Island Station to only burn natural gas going forward, there is no legally enforceable requirement that prevents it from switching back to coal prior to the summer of 2023—should a recent proposed consent decree take effect,” the letter states.